"I cannot say enough about my great experience with Jane Gallagher. I sold my house in Springfield and she was with me every step from start to finish. I am a senior citizen selling myself and she was a guide all the way and made it very easy. She is the ultimate professional and I recommend her to anyone selling in the area. Thanks, Jane!" "Any broker can sell your house when the realestate market it hot. But to sell in a difficult market you need a Realtor like Jane Gallagher, with the knowledge and experience to properly price and stage your house to sell. In the current challenging market, she sold our house in less than two weeks." "Jane Gallagher demonstrated and ability to combine her experience and knowledge of the real estate market with her sincere commitment to represent us with a recent sale. Jane's attention to detail, availability, and follow thru made what seemed to be an impossible task for us, go smoothly and effortlessly. 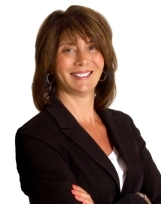 Jane is an excellent real estate professional who is able to create a comfortable rapport with her clients. Her passion for her work and her compassion for her clients is genuine." "Jane Gallagher sold our house in one week for the price she initially quoted. I've relocated multiple times in my career, and have never had a better experience with any Realtor. If you are thinking of selling your property, you owe it to yourself to talk with Jane." "Working with Jane to sell our home was a very pleasant experience. Not only was she diligent and hard working, she responded to our questions with honesty and candor. As a result, our home was realistically priced and sold in 10 days." "I have known Jane for the last twenty years and have worked with her as a client for over six years. Whether she was representing me on the purchase of my home or working with me on the acquisition, or sale, of an investment property, she has always exceeded my expectations. Her blend of patience in working with prospective home owners, or sellers, coupled with her expertise in guiding her clients through the sometimes intimidating process of the transaction will leave you feeling completely satisfied with your decision. From my perspective as a real estate investor, Jane possesses unique insight into the Delaware County real estate market, and has always been able to add value to my due diligence process. Most importantly, as any investor should require, she will always align her interests with yours. The highest professional compliment anybody could give is a referral, and I would not hesitate to recommend Jane."